Valeant Pharmaceuticals has had a rough time over the past several months, and for good reason. A few months ago, there were big concerns among investors with regard to the relationship between Valeant Pharmaceuticals and a pharmacy known as Philidor. Since then, there has been some good and some bad news with regard to the company. Nonetheless, investors are pushing the stock downward. Today we’ll talk about the relationship between Valeant and Philidor, what we’ve seen from the company since the cancellation of the agreement, and what we can expect to see from VRX moving forward. As mentioned above, last year there were several questions with regard to the relationship between VRX and an underground pharmacy known as Philidor. Philidor just so happened to be one of Valeant’s largest customers, but there was very little information about the company. Perhaps more importantly, investors were concerned that VRX may have owned a stake in Philidor, giving them the ability to hid specific financial data in an attempt o make VRX look better on earnings reports. At the time, some investors even started to call Valeant Pharmaceuticals the Enron of the pharmaceutical industry. Soon, VRX would cut ties with Philidor. While the fact that the relationship between the two companies was coming to an end excited investors, this led to concerns of its own. Because Philidor was Valeant’s largest customer, sales would surely fall, and fall dramatically. As a result, we saw massive declines in VRX for quite some time following the cancellation of the agreement between the two companies. The Good News – The good news that we’ve seen from VRX since the Philidor issue has quite a bit to do with Walgreens. Shortly following the news of Philidor, VRX signed an agreement with Walgreens that would make their medications largely available in Walgreens pharmacies. This is expected to increase sales in a big way. However, it’s not likely to be enough to make up the losses we saw as the result of the cancellation with Philidor entirely. The Bad News – The bad news is that VRX is getting quite a bit of political pressure. 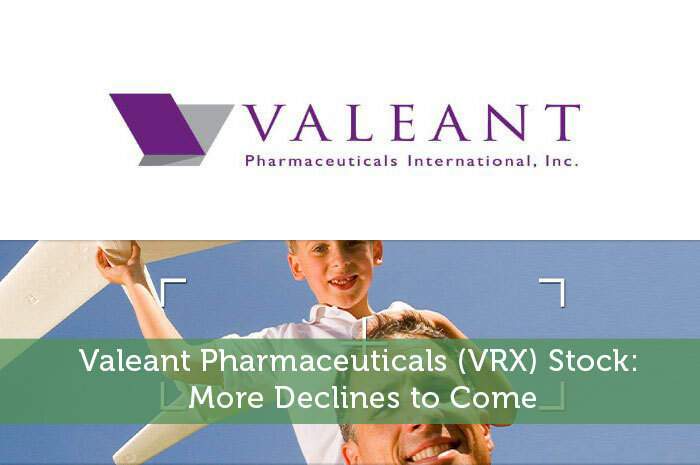 You see, VRX is known for increasing the prices of its medications on the drop of a dime. In fact, it can be argued that excessive costs of medications were what made Valeant the incredibly profitable company it has become. However, we’ve seen quite a few conversations with regard to price gouging in the medical space lately, and VRX just so happens to be in the center of these conversations. As a result, investors are fearful that Valeant may be investigated and forced to reduce its prices of some of its most profitable medications. While I will say that I believe Valeant is going to be just fine in the long run, at the moment, there is quite a bit of uncertainty. The company has still yet to make up for the loss in sales as the result of the agreement cancellation with Philidor. On top of that, there’s quite a bit of uncertainty with regard to what’s coming down the line in terms of drug pricing. The truth is that there are few things that scare investors quite like uncertainty. As a result, I’m expecting to see further downward movement until VRX offers a clear path and the political issues with regard to pricing dissipate.